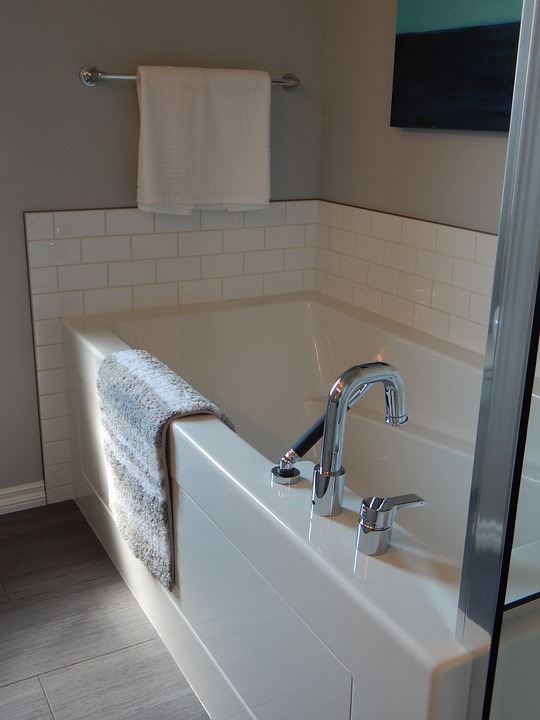 Before you install your bathtub, make sure you fully measure your bathroom’s available alcove space and choose a tub that fits (most bathtubs are 5 feet long and 30 or 32 inches wide). In addition, make sure your subfloor is level. Once it’s in position, make sure it’s level and if not, use shims to even it out. While the tub is in position, measure and mark the tub’s ledger, then attach the ledger board. Next, dry fit the drain and water supply pipes. Install the rubber gasket on the bathtub’s overflow tube and secure it to the tub. After that, attach the stopper retaining bracket and apply a ring of plumber’s putty around the drain flange. Secure the drain to the bathtub using screws and your screw driver. Then, make sure the stopper chain is connected to the stopper and secure the stopper in place. Put the bathtub back in its place and fit the water pipe assembly into the drain. Make sure the tub is level and then nail the tub flange to the wall studs to complete the project.